Lt Col Garretson — one of the USAF’s most farsighted and original thinkers — has been at the forefront of USAF strategy on the long-term future in projects such as Blue Horizons (on KurzweilAI — see video), Energy Horizons, Space Solar Power, the AF Futures Game, the USAF Strategic Environmental Assessment, and the USAF RPA Flight Plan. Now in this exclusive to KurzweilAI, he pushes the boundary of long-term thinking about humanity’s survival out to the edge … and beyond. — Ed. It is a nasty reality that sometimes the solutions to significant problems take time, and last-minute crash programs can fail. It would be a darn shame to end life’s two billion year run (and humanity’s eight million year run) prematurely because of a lack of planning. Moving everyone and everything we value off Earth is likely to take some time. The same is likely to be true for any of the alternatives: uploading most of us to exist “in-silico,” putting a sunshade between Earth and the Sun, moving the Earth, or attempting to control the Sun. It is often a good idea to have at least a cadre of people thinking well in advance about the problem, and designing solutions. 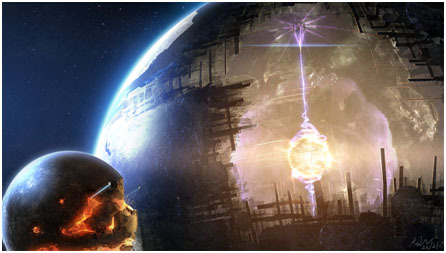 The obvious solution available to us today to cope with Earth’s eventual non-inhabitability is to build O’Neill style space colonies from material in the Asteroid belt, which is estimated to have a carrying capacity of 10–100 trillion people (1,000 to 10,000 times our current population on Earth). Of course, to be able to exercise that option, we would need a space policy that recognized survival as the fundamental reason for the space program, with articulated goals of space development and space settlement explicitly stated, and a space program pushing the technology and logistical capabilities to be able to attain those goals. 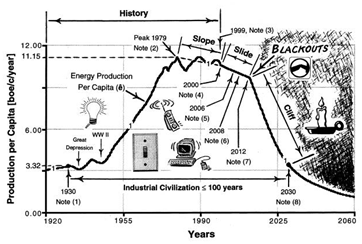 Energy availability is a key constraint to human progress and mobility. 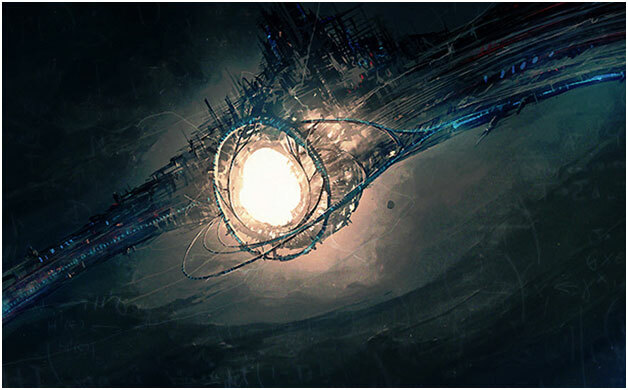 Spacefaring and space settlement capabilities would need to be developed before some other crisis (such as peak oil) caused a new and likely irrecoverable dark ages, which would reduce the energy capital available to develop the pre-cursor technologies. Nature has provided humanity a bounty of easy energy in the form of fossil fuels, a sort of ”baby fat” for the Earth to grow to adolescence. Use it well to reach new energy sources and we transcend; use it poorly (use it up) and we collapse. The case where we transcend a fossil fuel crisis is just as compelling. If we succeed in continuing our population and development growth and find new energy sources, and assuming energy use (including all sources: fossil, nuclear, fusion, etc.) grows at annual rate of 2.3% (reduced from the current 2.9% to be more realistic), we’d only be able to continue growth on Earth for another 420 years before we could not maintain the heat balance of the planet, and started boiling the oceans ourselves. Of course, a good plan seeks to avoid such extremes, and with a little planning and ambition, we can make the best of those billion years, and both expand our population to “islands in the sky” and take good care of our home planet. With just a little care and proactive maintenance of the biosphere (climate control and some impact sensors), Earth should be good for at least another billion years. It could be a lush, green tourist location with a modest population of 10 billion, all living in relative energy wealth, if it built a ring of solar power satellites in geostationary orbit. 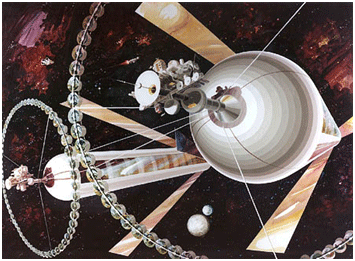 (A fully developed civilization living at a U.S. or European equivalent lifestyle would only require on the order of 40–50TW of total electrical energy, and a ring of powersats in geostationary orbit could supply as much as 330 TW). Sure, Earth might end up being a minor player and backwater tourist location in a solar-system-spacefaring civilization 1,000–10,000 times more populous and better connected, but a planet is a terrible thing to waste, especially when a little maintenance can get you another billion trips around the Sun. But even the O’Neill solution is temporary, because within only about 5 billion years, our Sun will have first swallowed most of the space in which those colonies had been built on its way to becoming a red giant. Shortly thereafter, the Sun would collapse to a dim white dwarf incapable of supplying the passive solar energy upon which such colonies would depend. Of course, colonies can be moved, and it’s possible we will have developed more impressive technology by then. 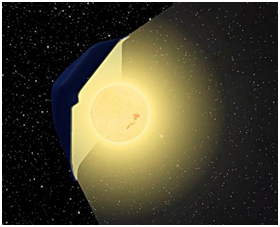 As long as the Sun shines, there is energy available, and we can have an ambition to become a Kardashev Type 2 civilization — where we first surround and ultimately encase our Sun to use all of its energy. 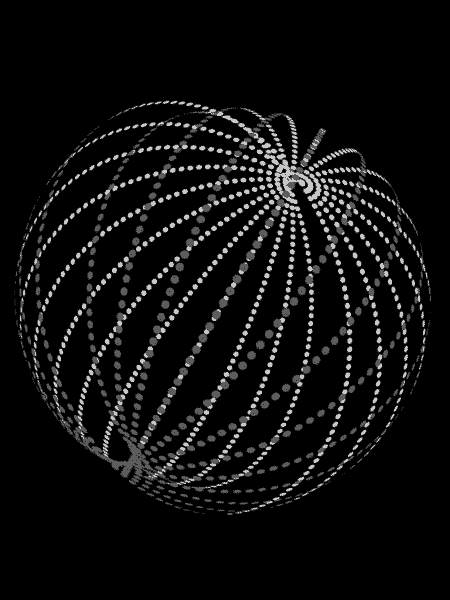 But once our Sun started to dim, even encasing the Sun in a Dyson sphere of solar arrays to capture all the Sun’s energy would not be a sufficient solution. However, the knowledge that the utility and growth horizon of our home star is limited should not lead us to be resigned or pessimistic about our future. 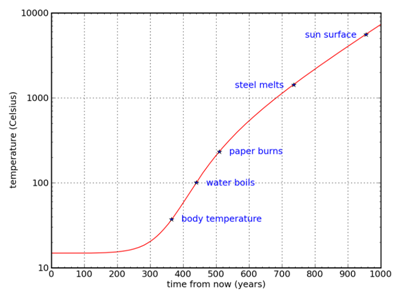 Human beings have done fine in the past when the environment constrained growth. 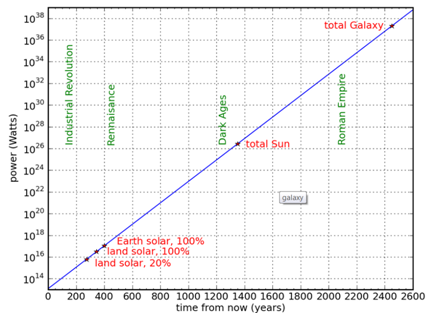 Even with constrained growth, there is plenty of Sun to support a space colony-based population of billions to potentially trillions at current energy requirements … for a good 5 billion years. 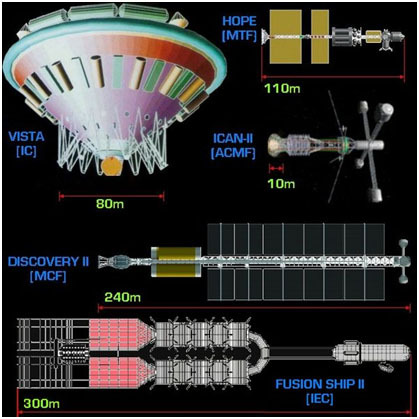 The latest effort is the 100 Year Starship Project (100YSS), begun by the Defense Advanced Projects Agency (DARPA) — the people who brought you the Internet — and NASA, which previously led an effort in the 1990’s called the Breakthrough Propulsion Physics (BPP). The 100YSS is managed by a team of non-profits led by former Astronaut Mae Jemison. 100YSS is not alone. 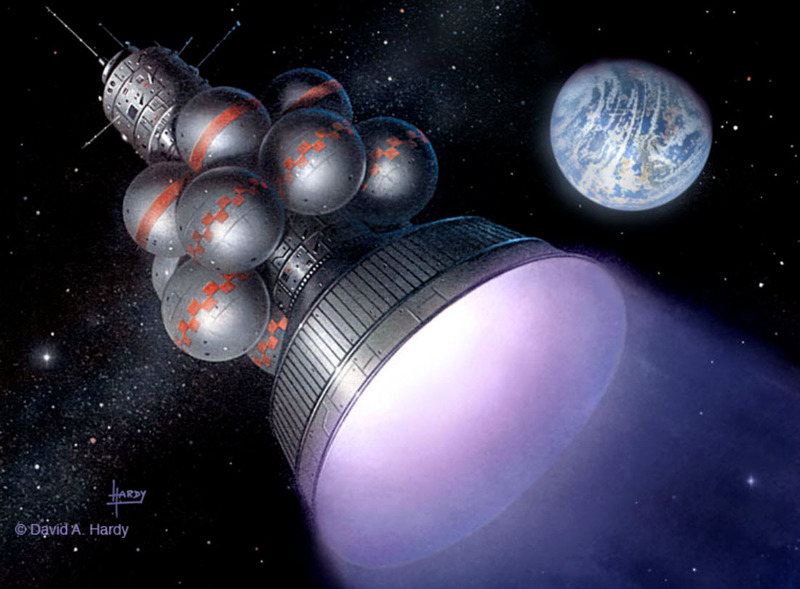 Marc Millis, former head of NASA’s Breakthrough Propulsion Physics program, heads another organization, the Tau Zero Foundation, a volunteer group of scientists, engineers, entrepreneurs, and writers who have agreed to work together toward practical interstellar flight. 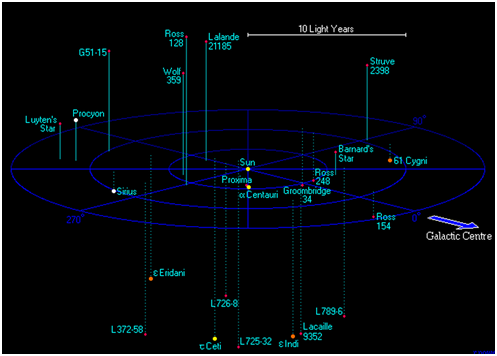 In advance of achieving interstellar flight, we can begin to map out where we intend to go. Fortunately our science presently has this capability. 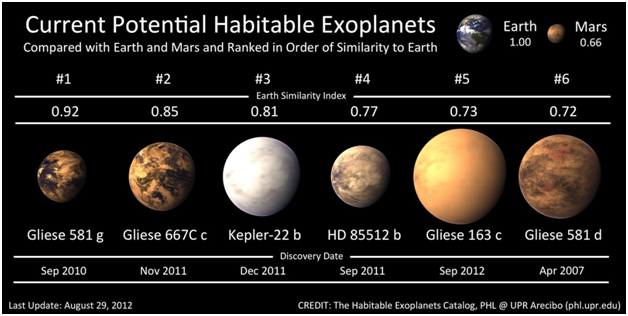 There is already a significant amount of activity in the astronomical community looking at potentially habitable systems. Each day seems to bring stories of new discoveries of ever more Earth-like planets circling distant stars. Our capabilities to detect exoplanets (planets orbiting another star) are getting better every day, and will receive a major upgrade in 2018, when we launch the James Webb Telescope (JWST). 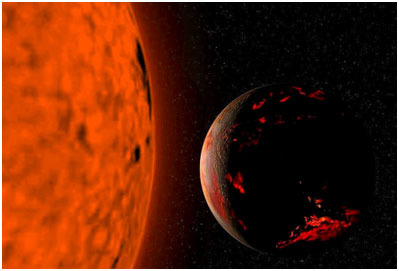 Our criteria for new suns certainly will include that they have at least have the energy and material we need. While by then we will certainly be at home in space colonies and worlds of our own making, we may still desire systems that have habitable planets where we could recreate much of our entire biosphere or daughter ecosystems. But as we approach the four billion year point, we need to plan to be a multi-stellar/multi-exo-planetary civilization, as there are other neighborhood events to consider. Around the same time our mother star is going through significant changes, we’ll have another problem we need to plan for. 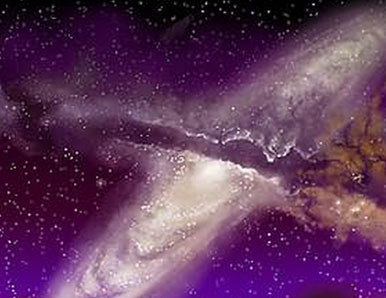 Our galaxy will be colliding with another galaxy, Andromeda. How exactly that will affect us will become clearer as we get closer; it may present both threats and opportunities. The mix-up may move other stars into proximity with our own, perhaps making it easier to leap to attractive new stellar habitats, but perhaps also disturbing our own system and endangering our civilization. In case something nasty was heading our way, it is not too early to think about how we might sidestep a potential collision. There are already ideas for moving entire stars. 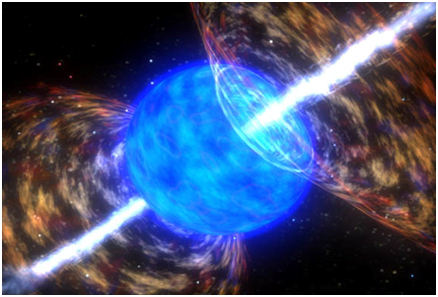 An example is the Shkadov Thruster, which uses gravity to balance light pressure on a reflector (“statite”), resulting in a net force that moves a star slowly through space. Spreading out as wide as possible within our galaxy or other galaxies is highly desirable, because there are largely unpredictable events like supernovas and gamma-ray bursts that are like a grenade going off in a crowd, killing any solar systems in their proximity. The farther we spread, the more we spread our risk. But the remote possibility that we could be a victim of a gamma ray burst is no reason for defeatism. 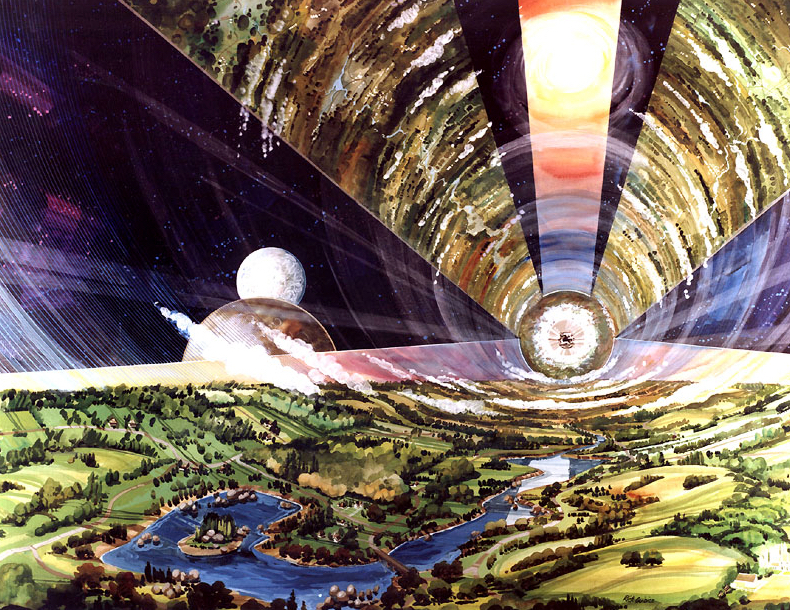 If we can figure out a way to do interstellar travel, we should have a nice long run as a multi-star civilization. However, if we forecast out a little more, we see that again, our planning assumptions to start to change. Even as a long-living civilization capable of interstellar travel, we face limits. The stars themselves are limited resources. But even here, there are ideas of fundamentally re-engineering space-time to literally give us a “new lease on life,” perhaps deliberately engineered black holes or wormholes that allow for the creation of entirely new baby universes — possibly even “intelligent black holes” — and restarting the entire process of creation. Even the galaxies are moving farther and farther away. Eventually, as the Stelliferous Era comes to an end, it will be “slim pickins” as new stars form less and less. Still, our civilization could enjoy a nice life to a ripe old age of one trillion to one quadrillion years before things really got bad. That is a lot of time for creation of poetry, literature, art and science! We should not let a few small obstacles a mere 1–5 billion years in our future slow us down, and deprive us of the chance to spread life, intelligence and art farther in the universe. 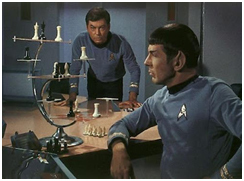 Further in the future, in the Degenerate Era (1014 to 1040 years) we will need to have figured out some serious magic to perpetuate life and intelligence, or we will have to make our peace with entropy as we approach the Heat Death of the Universe. But even here, there are ideas of fundamentally re-engineering space-time to literally give us a “new lease on life,” perhaps deliberately creating black holes or wormholes that allow for the creation of entirely new baby universes, and restarting the entire process of creation. The exploration of fundamental engineering of spacetime itself is being pursued by the same community seeking to make interstellar travel a reality. Of course, even before 1 billion years, we’ve also got some near-term “bad weather” to plan for. 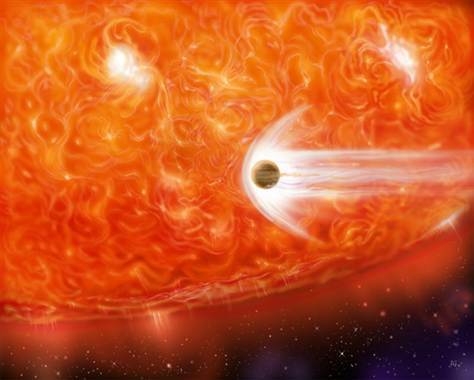 Before the Sun starts boiling us, we’ll have major dust storms as the Sun’s 250-million-year-orbit around the center of the galaxy pushes us through cosmic clouds of dust as we climb and descend through the galactic disk, say astronomers. 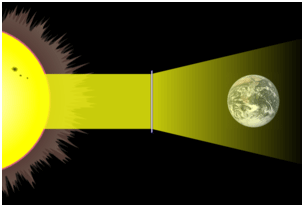 That dust could penetrate our heliosphere as early as 2,500 years from now, possibly even reaching Earth to deplete our atmosphere of vital gases and strip away protection from cosmic rays (as may have happened in previous mass extinctions). 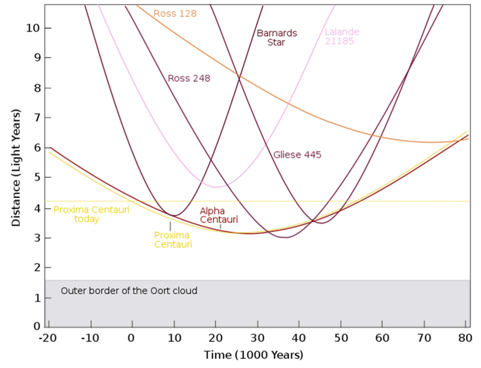 In only 10,000 to 35,000 years, four stars (Proxima and Alpha Centauri, Barnards, and Ross 248) will be close enough to disturb the Oort cloud and send giant comets our way, such as those that killed the dinosaurs (only 65 million years ago). 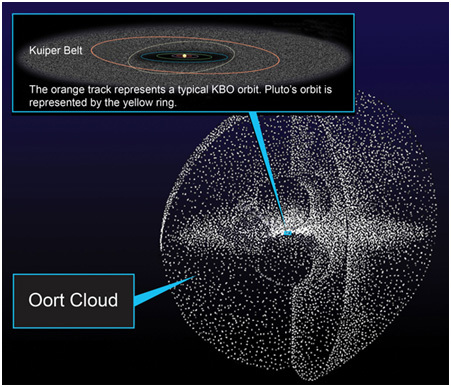 And in less than 1 million years, the star Gliese 710 is going to race past our solar system and come within just three quarters of a light year from our Sun, well inside the Oort cloud. In that same time period, we can count on more than a few asteroid strikes, which luckily will be completely preventable. According to NASA, more than a million near-Earth objects are larger than 40 m in diameter (the approximate threshold for penetration through the Earth’s atmosphere). Asteroids as big as 2 kilometers can discharge an impact energy of a million megatons and create an effect similar to a nuclear winter, with loss of crops worldwide and subsequent starvation and disease. Still larger impacts can cause mass extinctions, like the one that ended the age of the dinosaurs 65 million years ago (15 km diameter and about 100 million megatons). 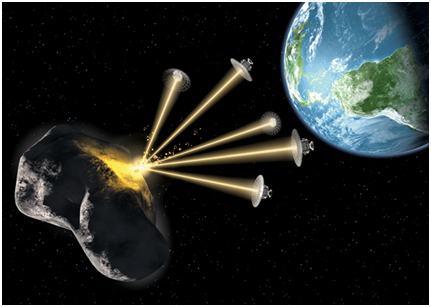 So to reach our billion year plan goals, we will need a planetary-defense asteroid detection system and a deflection system up and running “lickedly split,” or we forfeit a lot of good years! Fortunately that is a comparatively easy problem to solve, and the same suite of competencies that allow us to divert an asteroid enable us to capture and mine it. But any plan about the future is really about how we intend to allocate resources today. Our first priority needs to be planetary defense and space-solar power so we can lock in the full billion years of value Earth can provide. The next priority is developing the competencies to make use of space resources to enable closed-cycle life support for the free-flying space settlements that will allow us to extend our civilization to the full five billion years warranty on the Sun. All the while, we need to be trying to find a way to build starships before this Sun goes bust. That’s silly. It is good not to allow really big looming problems. And, planning for a long-term problem does not mean you need to ignore near-term problems. It is possible both to put money away in an IRA while you maintain your car. Planning for events like your children’s college or retirement might seem a long way away, and that there is plenty of time ahead to get busy, but the same factors apply — a little bit of early investment compounds over time and is worth a LOT of investment later on. Of course, any person alive today should realize that “objects in the future may be closer then they appear.” Proximity is based on perception. Our perception of the distant future is measured against our own individual life span — and that is undergoing change as well. Our billion-year plan needs to consider the likely and predictable problem of time-contraction: 1,000 years is just not what it used to be! If thinkers like Aubrey de Grey and Ray Kurzweil are right, our civilization is on an exponential technology curve that will eventually result in “longevity escape velocity,” meaning that for every year a person lives, medical science advances to allow them to live one additional year. Already, there may be people alive today that may have indefinite life spans. 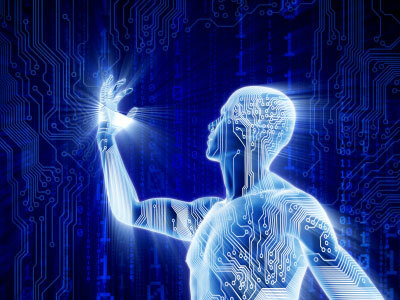 The idea that a post-Singularity world might allow us to exist “in-silico” as uploaded simulations and control our own “clock speed” poses even more radical time contraction. Even if we only succeed in extending human life a mere tenfold to 1,000 years, or an unrealistically low doubling to 200 years, every number discussed above is twice or ten times closer in terms of individual “care factor” and potentially much closer to home. But even if human life span remained constant, it is a responsibility of life to plan for its offspring, and civilization to seek to continue itself. 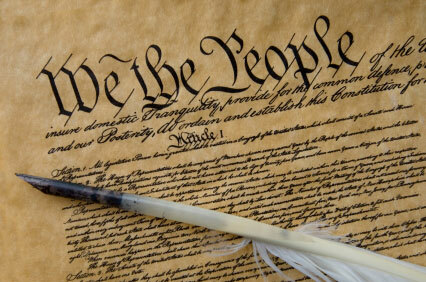 At least the part of civilization I live in has this essential mission enshrined as the most basic task in our U.S. Constitution: “Secure the blessings of liberty to us and our posterity.” To do that requires planning. Planning allows time itself to be our resource and acts as our lever to do great things. Many look at the significant events discussed above as “doomsday scenarios,” but to me, they are just eventualities to be planned for, and chance favors the prepared mind. It’s also a happy consequence that the farther out you look for problems, and the bigger problems you try to tackle, the more likely you are to perceive and be able to bring ambitious thinking to more proximate problems. If we had not been building instruments in space to look far out into space, we would not even know about the threats of asteroids, comets, gamma-ray-bursts or galactic collisions. We also would not have the space-based surveillance to know about the hurricane or tsunami on its way. Lifting our eyes to the horizon pays. Of course, there are more proximate threats, and several of our own creation. But personally, I bet on humanity, not against humanity. We are the life carriers, the intelligence, and the gametes of Gaia. It is our destiny to spread not just human life, but the entire clan of life, and intelligence, first to the Solar System, and then to the stars. The great strategist John Boyd told us that it is the nature of all organisms to seek to “Survive, survive on their own terms, and improve their capacity for independent action.” Ultimately, the space program is about survival, growth, and flourishing. Not just of ourselves, but all life.